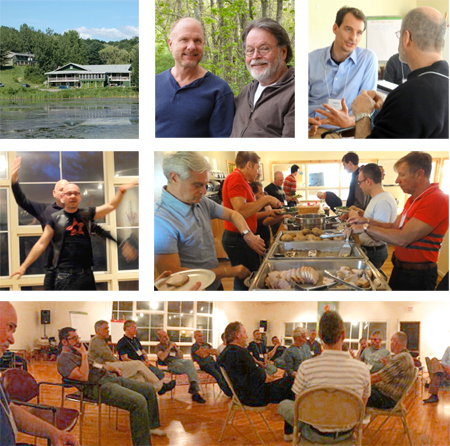 The Gay Coaches Alliance was founded in May, 2003 by a group of gay coaches, including the present members Dave Allen, Michael Cohen, and Harry Faddis; these three members are now serving as the Executive Committee for the Alliance and are responsible for the decision to re-vision the website and reach of the Alliance. Among our various personal reasons for creating this alliance, we came together with many shared values and goals. We wish to call forth a visible community of gay coaches as well as to inform gay men across the country about the existence of coaching, the usefulness of coaching, and the possibilities for personal and professional growth available in and through the coaching profession. Simply put the world has need of coaches who coach as professional coaches as well as leaders, managers and bosses who are coaches. We wish to support each other in our work as personal coaches as well as in our work of community building. And we wish to encourage gay men to enlist the support of gay coaches as well as to consider becoming coaches themselves. During the first phase of our alliance, we served as a source of information to those who inquired about the idea of gay coaches. Over the years we have received many requests to join our alliance and we now have seen our way to opening up and expanding our activities in the field of coaching. Inspiration, in part, for this alliance was recognition by the founders that we shared diversity as a value and a belief that there is power in gay men coaching other gay men. We believe that each of us, because we are gay men, have something unique to offer the world. Unlike many who hold diversity as a societal good but then rush headlong into wanting everyone to be the same; our approach to diversity is to honor and value our differences, offering our gayness as a gift. Our belief is that gay men (and lesbians) historically have been an important part of the cultural fabric of society. The gayness of our forefathers was a characteristic that was sought out by the larger society. These gay predecessors enriched the society in which they lived and they were honored for their contributions. They were elders, shaman, arbitrators and holders of the tradition and of the sacred. Many of these roles have disappeared from our western culture but as we see cultural disruption from the current business-centric approach to everything, perhaps these roles are more necessary now than ever before. We hold that there is something powerful in gay men coaching other gay men. Being nurtured in the way a coach can is important for many men who find it difficult to trust other men. Gay men who are coached by a gay man have a unique opportunity to observe their blocks around the potential limiting conflicts between their gayness and masculinity, male bodies and more and to move beyond them as barriers in their lives. While this work may be done with women or other non-gay men it may be more powerful for many gay men to work with these issues if not all life issues with another gay man. From our new website, expanded mission and outreach to a much larger group of coaches we hope you will sense our vision and our excitement at being able to expand the influence and impact of gay coaching and gay coaches. In the future the Alliance may consider and create companion listing sites, foster and support other forms of alliance between and among coaches and/or extend our experience and expertise from this alliance to other similar efforts. For now, please allow us to embark upon this adventure and create some level of success before we extend the scope of our efforts. We welcome any inquiries about our mission, our goals, our work and the future of gay coaches. Please contact us.